Life is busy and with the holiday season approaching, it will get even busier! I have found it to be super advantageous to take advantage of those services that can help save your sanity. Like many of you I assume, I'd prefer not to have to run to the grocery store and dodge traffic, children, and long check-out lines. I know I could be doing something better with this time. 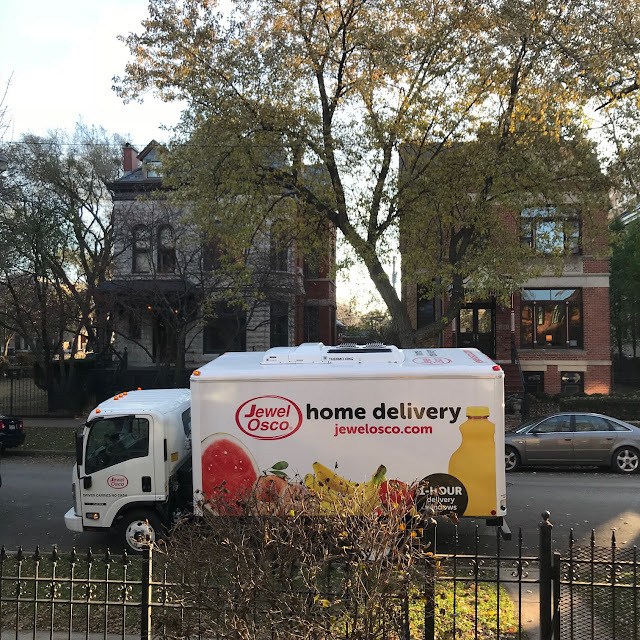 Luckily, the Jewel in Wicker Park/Bucktown launched its grocery delivery service along with the other stores across the Chicagoland area. They also offer Drive up & Go curbside pickup at select store locations. Over the weekend, I was able to meal-plan, and I got my groceries delivered first thing Monday morning. and you can shop by your "history". Delivery windows are available 7 days a week, from 7:00 am to 10:00 pm. With this program, the driver delivers the groceries to your front door or into your kitchen. I found him to be very professional, and he took the care of making sure I was pleased with the quality of products. The delivery trucks are equipped with chilled compartments to keep produce crisp and fresh! It is easy to order your next grocery list online. 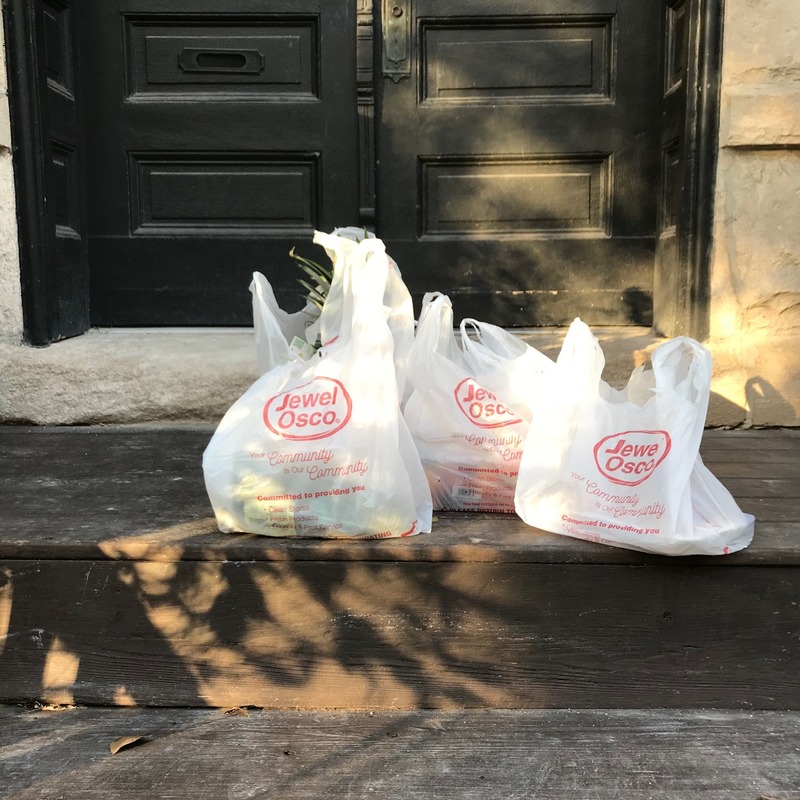 Simply visit the Jewel Home Delivery at shop.jewelosco.com and create an account to start shopping. It's only a $30 minimum purchase required. I was able to save on my 1st online order with $25 off and FREE delivery when I spent $100 or more! To save on your 1st time online order use promo code: JEWELSWEEPS, which is available until February 28, 2018!